These hefty 24pt. cards are printed on black FiberMark Touché® Cover stock with a luxurious soft suede-like tactile finish. 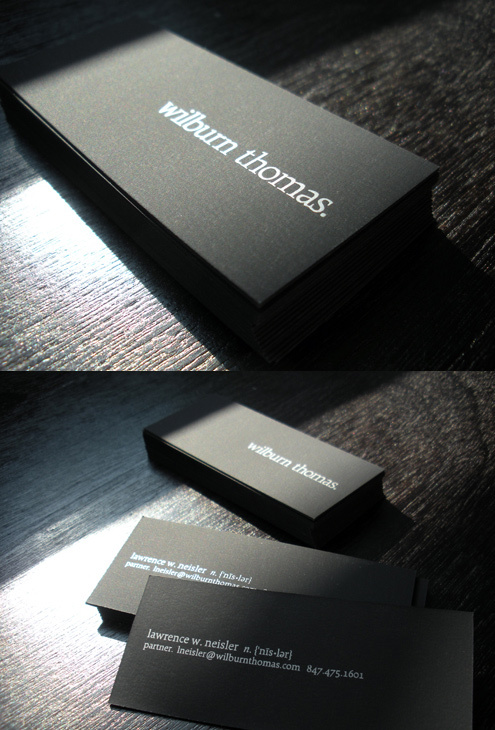 Printed with a simple matte silver ink, the text compliments the matte black finish with a hint of glimmer.